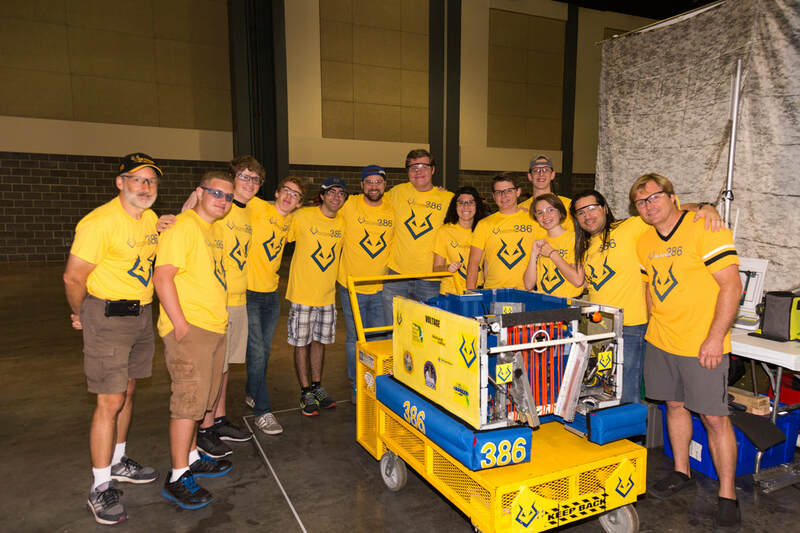 FIRST Robotics Team 386, “Team Voltage”, started off at Satellite High School in 1998 as team 248, "Scorpsquad". Due to difficulty finding sponsorships, in 1999 the team decided to diversify by moving to a new location where it began accepting students from any Southern Brevard County high school that did not have a team of their own. Doing so helped the team to spread their reach throughout the county, allowing the team to attract more sponsors from a wider area. In 1999, the team officially became team 386, "Voltage" - The South Brevard County FIRST Robotics Team with team members from 10 different schools from the area. In 2006 due to a change of ownership on the regular location that the team met, the team relocated to Melbourne High School. By 2016, Team Voltage consisted of over 50 students from a variety of locations in Melbourne, Florida, Including Melbourne Central Catholic, West Shore High School, and Melbourne Senior high school. We currently host our meetings at Melbourne Senior High School. Two years ago we qualified for the 2015 World Championship, but were unable to go due to monetary concerns. By 2017, improvements in our fundraising process enabled us to attend Championships in Houston. In 2002, Team Voltage was the first FRC team in Brevard County to be asked to present in front of the school board. Through the team’s active involvement, the Brevard County School Board realized the positive impact of FIRST. 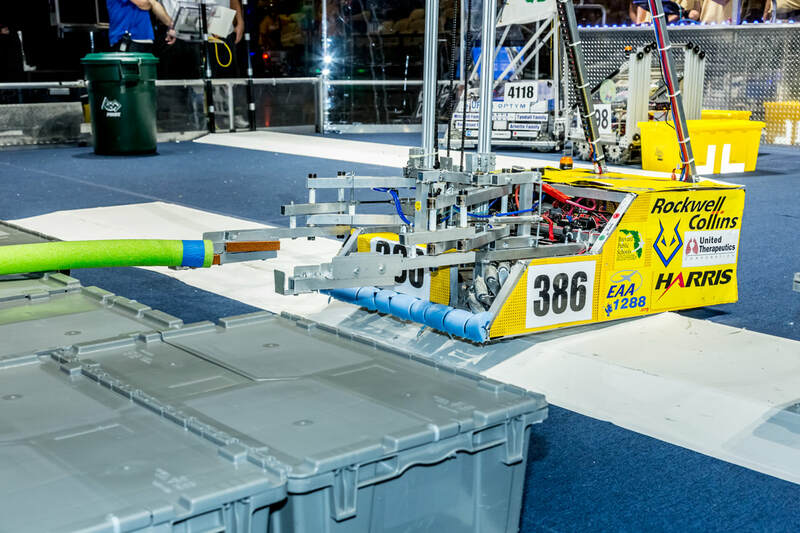 At that time, the Brevard County School’s Superintendent, Dr. DiPatri, set the goal of having an FRC Team in every High School in Brevard County, as well as an FLL Team in every elementary school. 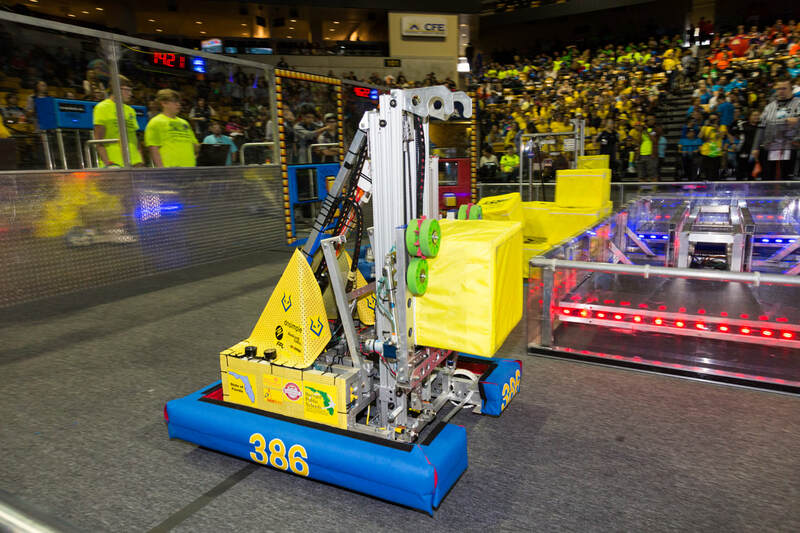 Since then, the Brevard Schools Foundation has allocated funds for every active FRC and FLL team. Along with this, the Florida government has decided as of 2017 to allocate funding to all active FRC teams in Florida. Every year, since 2011, we have hosted First Lego League competitions (more information can be found on FIRSTInspires). 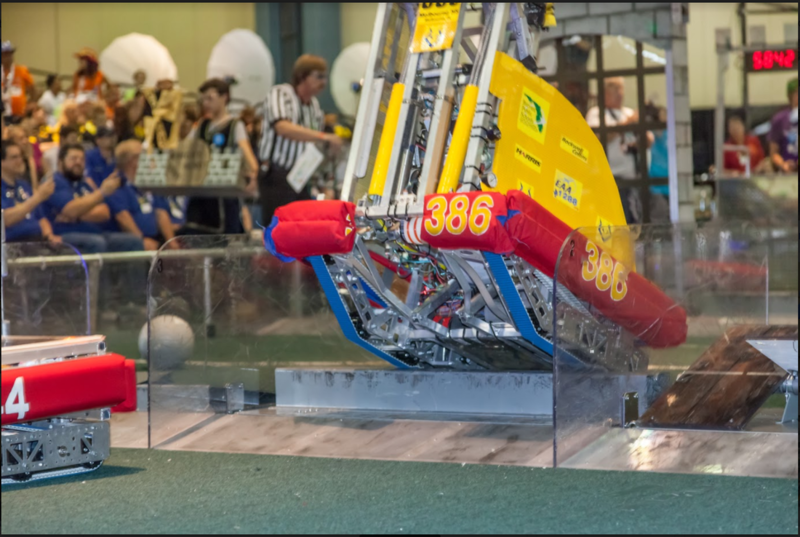 These competitions have teams of students ages 9 to 14 who are challenged to design their own solution to current scientific problems, and build LEGO® robots that perform autonomous "missions." In the process, they develop valuable life skills and discover exciting career possibilities in science and technology. We host this competition to help fellow FIRST members, to get to know younger members and even get them thinking about continuing it in high school. We love nothing more than seeing these young minds getting interested and excited about S.T.E.M. careers.